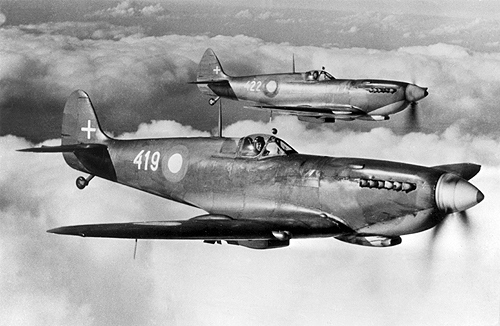 A pair of Royal Danish Air Force Spitfires HF Mk. IX belonging to 5. ESK photographed at altitude, 1949.